Mild symptoms usually disappear within two weeks. If you are pregnant and have been exposed to someone with mumps, see your doctor. You should see your doctor even if you are symptom-free. Mumps is caused by a virus. It is spread by infected saliva. This means it can spread through sneezing, coughing or sharing cups and utensils with an infected person. You cannot get the virus if you’ve been vaccinated for mumps. If you get the virus, symptoms usually appear 12 to 24 days after you’ve been exposed. Your doctor will call this the incubation period. Your doctor will ask you questions about your symptoms and do a physical exam. Your doctor also may do a throat culture or blood test. A throat culture involves swabbing the back of your throat. Can mumps be prevented or avoided? The mumps can be prevented with a vaccine. The vaccine is called the measles, mumps and rubella (MMR) vaccine. It can be given at any age. However, it is usually given to infants 12 to 15 months old. It prevents the mumps in 80 to 90% of people. Two doses are required to be effective. Thanks to this vaccine, very few people get the mumps in the U.S. anymore. Outbreaks can still occur in locations where vaccination rates are low. If you work in a public setting or in the health care field, you should get vaccinated if you haven’t already. Place ice or heat packs on swollen cheeks. Take acetaminophen for pain. Take ibuprofen for pain and swelling. Never give aspirin to children or teenagers 18 old or younger. This increases the risk of Reye’s syndrome. Reye’s syndrome is a serious illness that can lead to death. Eat soft foods that don’t require much chewing. Avoid acidic foods or foods that make your mouth water, such as citrus fruits. Try popsicles to soothe your throat. For swollen testicles, support the scrotum with an athletic supporter. Ice packs may reduce pain. Sterility (not being able to have children) is a very rare complication. Avoid public places and close contact for at least five days after symptoms appear. This is when you are the most contagious. People who have the mumps once become immune to it for life. This means you can’t get it again. Living with mumps involves living with mild symptoms for two weeks. This will include pain, swelling, loss of appetite, headache, sore throat, fever and chills. The frustrating part of living with mumps is not being able to get out and see people. Because mumps is contagious, you must avoid all contact as much as possible. Long-term complications are rare. This would include organ damage. 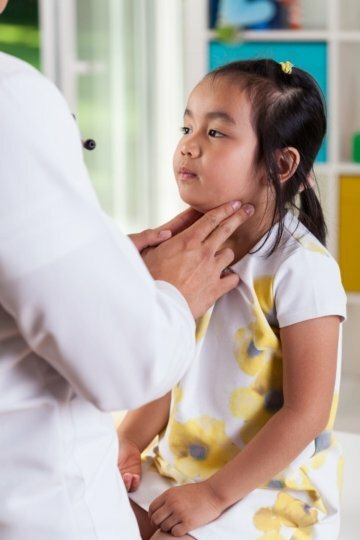 Can I expose spread mumps before I get symptoms? Can I pass mumps onto my unborn child? Is the mumps vaccine safe for the elderly or people who have weakened immune systems?